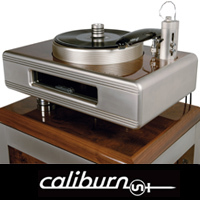 A few years ago, Continuum Audio Labs made the Caliburn turntable. It was an air-suspended, air-bearing, air-and-vacuum everything design that pushed the frontiers of both what you can get out of a record and – let’s be brutally honest, here – just how much you can spend on a record player. Just 100 of these six-figure decks were made, and then Continuum became little more than a footnote in sister brand Constellation Audio’s back story. The electronics brand was growing exponentially at the time and making a hundred six-figure turntables was considered saturation point, even with a deck as highly prized as the Caliburn and its Copperhead arm partner. Many thought that would be the last we would ever see of Continuum. And many were wrong, because the company is back with the new Obsidian turntable and Viper tonearm. 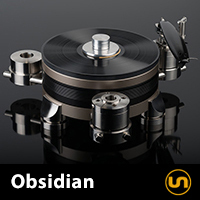 The massively oversized bearing in the Obsidian is larger than that of almost every other turntable brand on the planet. The really interesting part here is the bearing is magnetically opposed, but does not float, so it acts as a low- friction design, but retains a mechanical grounding path. That means none of the risk of wobble found in other mag-bearing designs. It also has a ball and shaft made from tungsten, which means torque transfer is excellent and the bearing will last a lifetime or three. 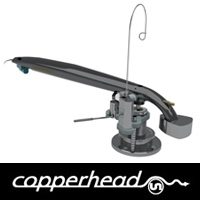 This creates a high-mass arm base, but also one that is double-isolated against the transfer of vibration or resonance. Like the deck itself, much of the mount is tungsten. Any arm could be fitted to the Obsidian, although a 10” arm is optimal. Theoretically, Continuum could build an armbase with longer tungsten mounting bars to accommodate a longer arm, but eventually such things get self-defeating, either from an engineering standing, the cost of the custom mounting bars, and so on. But more importantly, why bother in the light of the Viper tonearm, which makes such a fine and logical match, casting the net for a better arm is almost academic. The Viper is a unipivot with a sapphire vee jewel bearing on a hardened stainless steel pivot is a work of genius; the bearing housing itself has been designed with the Continuum in mind, and features extremely precise adjustments of VTA, Azimuth, and VTF (down to 0.001g increments). 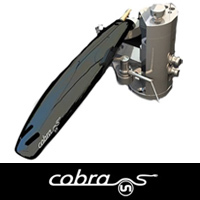 Arm tubes are easily detached and are interchangable. It uses an underslung counterweight in a set position. Changing its balance point means running through a series of different counterweight washers. This is a bit of a pain, but ensures the geometry of the arm remains consistent no matter what. The armtube itself is exceptionally light (it’s about as thick and as heavy as an eggshell, although a lot more rugged and incapable of being fried over easy). Installation of the turntable is easy, and while the turntable is high-mass, it’s not unliftable when in its component parts. You can go from box to shelf in an hour or so. The arm is not that much slower, but it demands attention to give of its best. If you aren’t the kind of person that would routinely devote a day to setting up a cartridge to get it just about perfect, then you might want to call for back-up. Like any first-rate tonearm, the performance is only as good as how much time you spend on it, and this is really worth the effort. All that obsession about resonance and vibration pays off, big time. I guess that’s pretty obvious, if you think it through for a few seconds: a turntable is acting like a seismograph in reverse, so every time you introduce extraneous vibration or resonance you are going to undermine that backwards- seismograph’s signal, and conversely, everything you do to make that signal less interfered with by vibration or resonance, the better it is going to sound. It’s not rocket surgery! This is perhaps the easiest part of this review to write, because the deck and arm combined do exactly what they are supposed to do: be a blank canvas for the cartridge to drag its rock through a groove. About a minute into the second album you play on this turntable, it dawns on you that the deck is just determined not to make a sound, and leaves all of that to the cartridge and the phono stage. With great power comes great responsibility, however, and this means taking an uncompromising line on those parts. 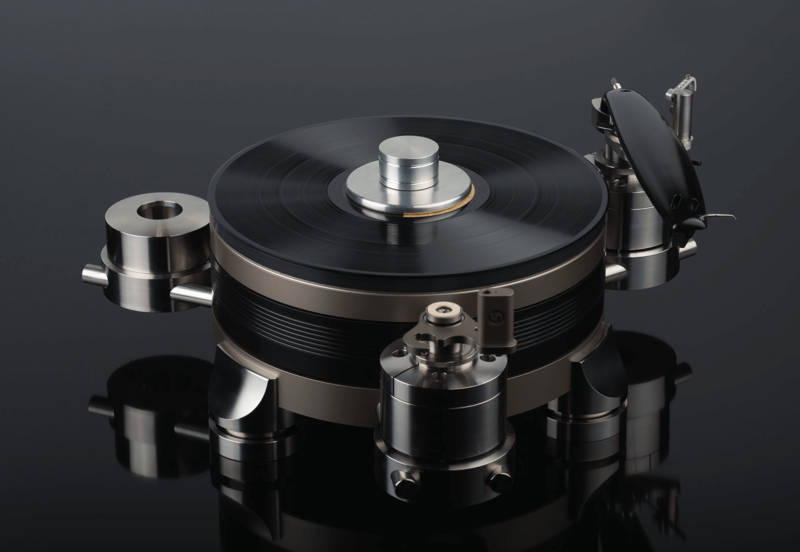 Given the family history and relationships, the phono stage was from Constellation (the Perseus) and the cartridge was from Koetsu (Onyx Platinum). This was all you heard; no platter ring, no vibrations, no ‘bright’ no ‘dark’... just what the cartridge is telling you about the record. As I said earlier, this takes two records. You listen to the first one – in this case Marty Paich Big Band’s The New York Scene [Discovery] – then you put on a second – in this case Duke Pearson’s The Right Touch [Blue Note]. You then realise they sound like they were being played on completely different record players. Both record players were perfectly optimised for that record. You move on to a third and a fourth, and the same happens again. And that makes this the worst part of a review to write, because I can’t pin anything down. Is vocal articulation good? On Sweet Baby James by James Taylor [Warner, Speakers Corner], it’s sublime. On ‘Figure It Out’ from Royal Blood’s eponymous debut [Warner, again], it’s more blurred, but the guitar and drums are powerful and dynamic. You then fall into the trap of thinking about the deck in terms of other decks, and you are in deep trouble. On one record, it sounds like a Linn, because the record has that kind of tonal balance that benefits from a Linn’s presentation. On the other, it sounds like a VPI, for similar reasons, on a third, a Rega, and so on. This is in the danger zone for a reviewer, because it leads to ‘waxing philosophically’ and then you are well and truly lost. The trouble is, there’s nothing to see here, and that is a wholly good thing. A source component isn’t supposed to be a filter or a influence on the sound, and that’s precisely what the Continuum is or isn’t doing. It has no ‘drag’ on the sound, no influence, no footprint, nothing. Images are as wide as the record, dynamic range changes from album to album. This deck and arm do almost nothing to the sound. When you listen to a soundless turntable, you are transfixed. You are enthralled. One minute you are wiggling along with Duke Ellington taking hold of Newport in 1958, the next you are wailing in sorrow while listening to a requiem mass. The sound of nothingness is the sound we signed up for originally all those years ago. It’s the sound records are supposed to make, but seldom do in reality. For all this, however, the turntable and arm are relatively forgiving to bad albums. OK, so I didn’t have my copy of The Handless Organist to, er, hand, but you play something thin and clipped it will play that without making it unlistenable. The really unsaveable recordings will stay unsaveable, of course, but even here, the Continuum’s sense of even-handed order will usually make the best of a bad job. Of course it is on the really good records where the Continuum shines. The Columbia reissue of Berlioz: Symphony Fantastique (New York Phil, Mitropoulos Cond.). ‘Un Bal’ and it’s waltz-like properties were inspiring. The changes in tempo, the sense of space around the instruments, the tonality of the instruments themselves, and the absolute lack of anything getting between you and the music was extremely alluring. And then there’s the musically wonderful moments that make it all worthwhile: playing something like ‘Crying’ by Roy Orbison. That’s not a record that I was there for the first time round, but it’s not difficult to empathise and realise that for the length of time the record played, the turntable was a time machine. Funny how records you might have only heard on a cheap 1960s turntable and stuck away for decades can have such emotive energy when played on the really good stuff. A parting shot here was the use of a good cleaning machine, like the Klaudio. Granted this can make changes that can be heard on almost any table, but the impact it had on the Obsidian and Viper made such a thing almost mandatory. A small change on a normal turntable became a transformation of epic proportions through the Continuum. This is a truly wonderful deck to experience, or rather not experience. It’s complete absence of sound and total neutrality is not stark, bright, or forward. It’s neutral, but not in a ‘Switzerland’ kind of way. It’s actively neutral, making a sound that is beguiling and exciting because the impact of the Continnums is so minimal on the music. It makes music come to life in a way few other turntables at any price can.